Hypnobirthing Classes NOW AVAILABLE in Macarthur!!! Would you like to experience a positive, calm and beautiful birth? Then this 12-hour comprehensive birth education and preparation class is for you!! To review the upcoming class dates and/or enrol, please click the book now button below. Are you WORRIED about what the birth will be like? Are you ANXIOUS about how you will cope? Are you UNSURE about what exactly happens during birth? Knowledge is POWER!! Hypnobirthing will help you overcome the fear, anxiety or uncertainty you may have toward giving birth. 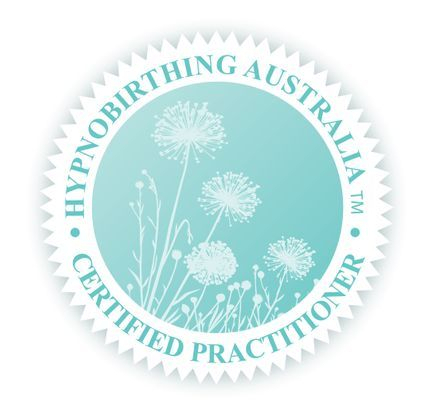 The Hypnobirthing Australia TM program incorporates knowledge about the birth process, tools (such as relaxation, breathing, massage, visualisation, self hypnosis), information on how your support people and caregivers can help you and a method of preparation. Quite simply, hypnobirthing is THE BEST way to prepare for your birth! Because, birth is MEANT to be a beautiful experience! And it can be with Hypnobirthing!! Small group classes are held at my home, located in the centre of Campbelltown, NSW in the Macarthur region of South West Sydney. You can BYO lunch and sit in the private back deck or visit the eateries just down the road in our lunch break. 1. Please click on the button below and complete the online enrolment form. 2. Then please return to this page to pay your deposit. 3. Final payment is due no later than 7 days prior to your course start date. 4. Payment can be made via direct deposit or PayPal (details and buttons below). Courses via Skype also available. All courses require a non-refundable $150 deposit upon booking. The remainder is due no later than 7 days prior to the course start date. Love Hypnobirthing but can't make it to one of our classes? HYPNOBUBS TM is the answer! I highly recommend attending a face-to-face class but if you can't make it to to a class, this is the next best thing! 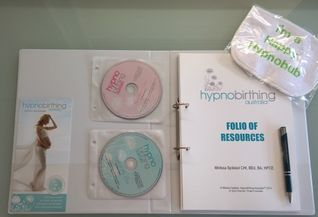 Allow Melissa Spilsted, Director of Hypnobirthing Australia and Clinical Hypnotherapist, to guide you through the course with 10 x video tuition and practice sessions, 5 x long-play hypnobirthing mp3s, an eBook, handouts and worksheets. PLUS you have the option to purchase a private session upgrade with me for only $150 (this can be done in person or via Skype). With a private Facebook group available as well, we've got all the bases covered to ensure you have the support you need to prepare for a positive, calm and beautiful birth!! Click here to read more about this amazing online home study course.